Home / Disease / Hypocondria: What is the cause? Hypocondria: What is the cause? Hypochondria is anxiety for a disease. People who encounter hypochondria believe that they have a severe or life-threatening illness. When you experience this condition, you may believe that a normal body response or minor symptoms are a symptom of a severe illness, even though a medical examination does not indicate a severe condition. Hypochondria is a mental health problem resulting from a psychological response that can occur occasionally, even continuously. The moody state is considered a psychosomatic disorder, which means it's a psychological disorder with physical symptoms. 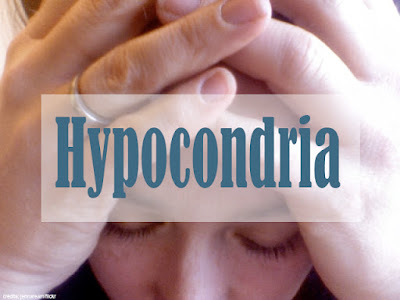 However, some researchers believe hypochondria is a form of obsessive-compulsive disorder. This disorder is a chronic disease that can change the intensity of the symptoms. It may also worsen over time. But psychological counseling (psychotherapy) and some medications can help relieve your worries. Hypochondria can occur at any age, but the peak usually occurs in adolescence and during middle age. Men and women seem to have the same ratio to have this condition. The initial signs of symptoms are usually seen in adulthood, around 25-35 years. Characteristic of a person who experiences hypochondria. 1. Always seeking justification for allegations about his health. People with hypochondria have excessive anxiety about their health. When you see a doctor and say that he is healthy, he will deny and feel something is wrong with his health. Therefore, he will continue to go to a different doctor even though all the doctors say the same thing: "You just fine." If this happens, the problem is not physical but mental. Therefore, to calm down, ask yourself, for example, "What is the proof that I have a disease even though the doctor says it is healthy?". If there is no proof, keep in mind that it is just excessive fear that is unfounded. 2. Attend to check health unnaturally. People who often feel sick may always carry a thermometer anywhere. Gradually he will immediately check body temperature with a thermometer because he feels anxious. In fact, there is absolutely nothing wrong with his health. He also may "collect" various medical tools such as tensimeter or blood sugar test kits even though there are no signs that he has a particular disease that must be monitored every day. 3. Mild symptoms are associated with serious illness. Forrest Talley, Ph.D., a psychologist and therapist from Invictus Psychological Services in California, United States states that people with hypochondria are usually famous for exaggerating. Symptoms of mild disease can be linked to dangerous diseases. For example, if you have an itchy throat, this is associated with the possibility of pneumonia and a series of other acute respiratory diseases. This fear ultimately overrides your logic. You also always consider trivial symptoms as a big disaster that will threaten health or even life. People with hypochondria thoughts fill with anxieties about health conditions that are always bad. Always dizzy thinking of the worst possibilities that arise in the body. Even, the mind will move from thinking of one disease to another. This results in always feeling seriously ill and having to see a doctor. It's no wonder that people with hypochondria almost always spend their time and money going to the doctor. Although sometimes checking health conditions regularly can indeed detect the disease early, but if done excessively for no apparent reason is also not good for mental health. 5. Have the same health test many times. Always do the same health test repeatedly. It is usually difficult to trust the results of a doctor's examination and the results of his tests so that he will continue to request additional tests or perform similar tests elsewhere. It will be very tiring because it must constantly pursue a verdict or a doctor's diagnosis which actually does not exist. 6. Avoid appointment with a doctor. Although it seems contradictory, some hypochondria people choose to avoid appointments with doctors. Usually, this is done because people with hypochondria feel very worried about hearing bad information about their health. Not infrequently he just ignored the appointment for a routine medical check-up just because of his fear. In fact, if he turns out to have a truly serious health problem, avoiding the examination will actually worsen the condition. 7. Keep talking about his health condition. According to Lauren Mulheim, a psychologist at Eating Disorder Therapy in Los Angeles, one of the characteristics of hypochondria people is to always talk about health problems they have. Because people with hypochondria thoughts are filled with various things so that they do not focus on other things beyond their health. Not infrequently people with hypochondria always dominate conversations by continuing to discuss their health problems complete with concerns that he thinks as if his condition is very alarming and worse. Lack of understanding about the disease and the responses felt by the body so that what is felt is due to a serious illness. Having a traumatic experience with diseases during childhood, therefore much afraid of the various physical complaints experienced. Have family members who are very worried about health. The goal of hypochondria treatment is more focused on overcoming complaints, helping sufferers to deal with various symptoms and anxieties that interfere, and helping sufferers to be able to undergo daily life activities. This treatment usually involves psychotherapy and sometimes also given medicines from a doctor's prescription. Helps identify fear and anxiety. Change how to deal with sensations or symptoms that are felt. Reducing behaviors avoiding activities or social situations because of perceived symptoms. Reducing the body's checking behavior repeatedly. Helps overcome anxiety and depression that can arise. Take medications to treat hypochondria, preferably in consultation with a doctor first. Avoid taking antidepressant drugs without a doctor's recommendation. Also, read How Does Chlamydia Affect To Us?